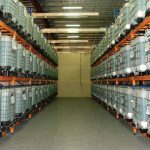 This Is One of the Gold Coast’s Longest Established Wholesaler/Distributors & Suppliers of a Large Range of Mainly Exclusive, Own Brand, Higher Profit Margin, Chemical, Cleaning & Janitorial/Protective, Packaging Products (All Consumables). Includes 80%+ Long Term & Loyal (8yrs+), Great Paying Business & Gov’t Clients, Which Include Schools, Childcare, Commercial Laundries etc. 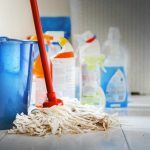 This is a 34-year old wholesaler/distributor and direct supplier of a large range of mainly exclusive, own branded cleaning & chemicals products, with the addition of washroom & paper, janitorial & protective/safety wear, catering & packaging products – These consumables being in constant demand. A diversity of client Industries are regularly supplied (like clock-work) – without actively marketing/promotion and not encouraging clients to visit the conveniently located warehouse. Business clients include government, schools, childcares, hospitality etc. Also, wholesales to clients in Northern NSW, throughout the entire Gold Coast Region, and Brisbane. Ample potential to market this part-time hour, lifestyle supportive operation, actively. This owner hasn’t needed to, nor been motivated to, thanks to already being well funded by great paying clients. This owner has always put enjoying the ultimate business lifestyle ahead of anything else, with free time to spend at home with the family being top priority. This business is simple and dynamic, providing a comfortable financial position to enjoy, 5 days only, and being part-time hours. This low time input, flexible hour business, provides a valuable client base who are solid, long term and returning to purchase often. All the business clients are high quality and need these products, on-going. This is a provider of high quality products, that work effectively on any site! This owner will only deal with high quality, great paying clientele, who require consumables, often. This is the luxury of owning this operation, as this has been the pre-requisite of operating this business; picking and choosing who it supplies. A new owner is free to enter a long lease for the current premise, or an existing industry business could simply add this rental amount to profit instantly, by moving this small stock holding into an existing warehouse. 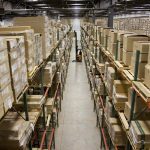 There is a wonderful base in which a new, motivated owner could market, add a webstore, open the warehouse, and market to attract direct supply clients, achieving full retail profit margins. There exists lucrative target, niche industry segments which a new owner could expand upon immediately, including targeting childcares/schools, commercial laundries, government, automotive, marine etc.